Last week, part of the AwesomeCloud Services team ventured up to Orlando, Florida, to check out the IT Nation 2013 conference. This blog tells you a little about our experiences and provides some light-hearted insight into spending six hours in the car with your CEO. This whole train started rolling when Jess Coburn, AwesomeCloud’s CEO, pulled me into his office a few weeks ago and said something along the lines of “Hey – let’s check out this IT Nation conference in Orlando. There’s might be some good stuff there.” Ok – so Jess was more eloquent, but that was the gist of it. Being a bit of an adventurous type (who happens to know Disney World is also in Orlando), I wholeheartedly supported the decision to take an impromptu road trip. It’s probably important to mention that the AwesomeCloud office is only a few hours away from Orlando, so making this trip was a no-brainer, and it made a nice change of pace away from the office grind for a few days. One week later, I hopped into Jess’s SUV and we set off to Orlando from our home office in Boca Raton. From a personal perspective, I’ve had the opportunity to spend a great deal of time with the CEO (for better or worse). Suffice to say, climbing into your CEO’s car for a three-hour car ride can produce a little anxiety – but it quickly faded as we got to discussing cloud and all things tech. After a few hours on I-95, we rolled into Orlando and geared ourselves up for a few days of learning and chatting. The turnout at IT Nation was pretty solid. The audience was from all walks of life, and we met a few surprising characters, like Lou Ferrigno – Jess even stood toe to toe with the Incredible Hulk. IT Nation 2013 wasn’t all super heroes, even though many of the vendors were handing out stress-relief super-hero knick-knacks and the event was near a number of theme parks. There was quite a bit of due diligence as we checked out a number of sessions. They were hit or miss, but the good sessions we attended were very good. After a long day of driving, checking out vendor booths, and taking in a few sessions, Jess and I were looking forward to heading over to Downtown Disney for the after party at the House of Blues, as I’m sure many of the other attendees were. What better place to hold a party?! 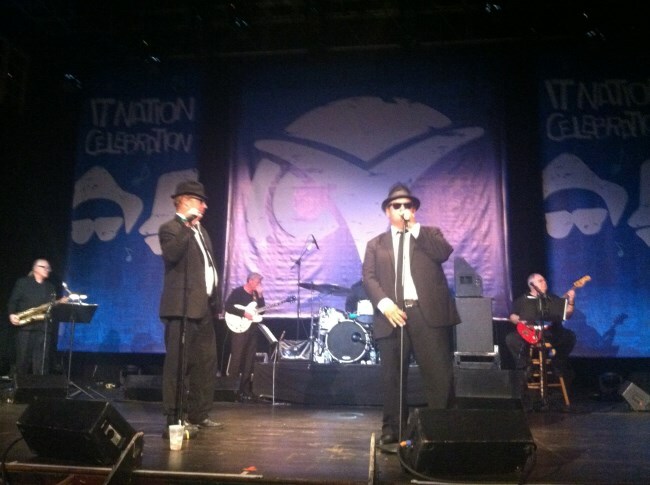 Thursday evening’s private event featured a Blues Brothers cover band – kudos to the IT Nation team! We were able to catch Simon Sinek’s Keynote, which was both a well-rehearsed and genuine performance. 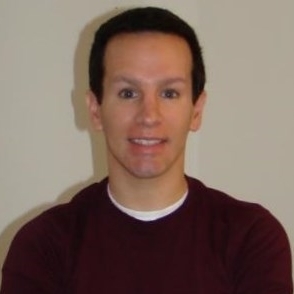 Simon covered the ins and outs of how the various neurochemicals affect organizations. While not tech-oriented, Simon’s speech was enjoyable. Jess even took note of his fluid performance and believes that Simon went through extensive formal training. Happily, we ran into a few of our channel partners at the event. Many thanks to the folks at InTrust IT for taking a few minutes out of their hectic schedule to do a little catch-up with the AwesomeCloud team. It’s always a treat to have a bit of face-to-face time with a partner who operates out of an office that is over 1,000 miles away. The rest of the event was pretty much what you would expect from an IT conference in terms of vendors and sessions. 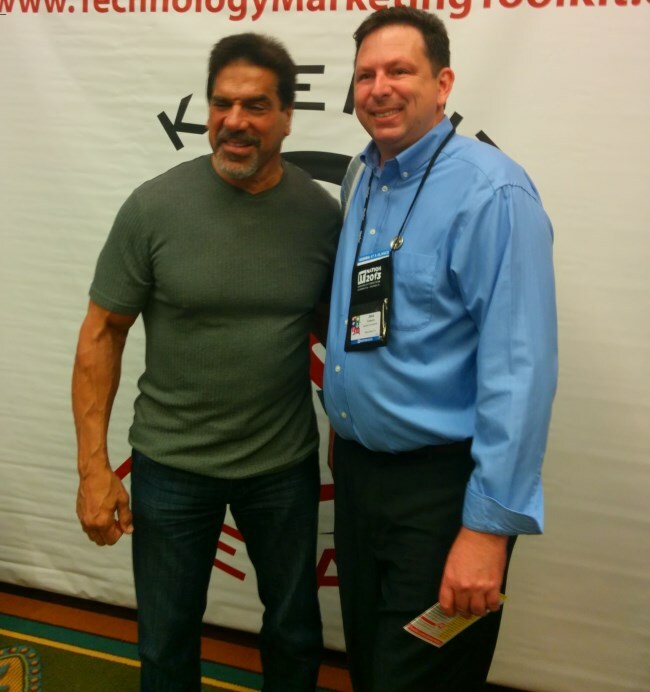 We caught a number of sessions and Joe Panettieri even attended one of the same sessions that I attended. Friday evening found us traveling back from Orlando to Boca Raton. For our readers from the North East (PA/NJ/DE, etc. ), we absolutely stopped at one of the local Wawa shops in Orlando for a quick bite. We didn’t have the chance to stay for the golf Saturday tournament, but, on the whole, we enjoyed our time at the conference. If IT Nation 2014 is near Disney again, we may well attend. Nice write up Jason. Thanks for sharing your experience.